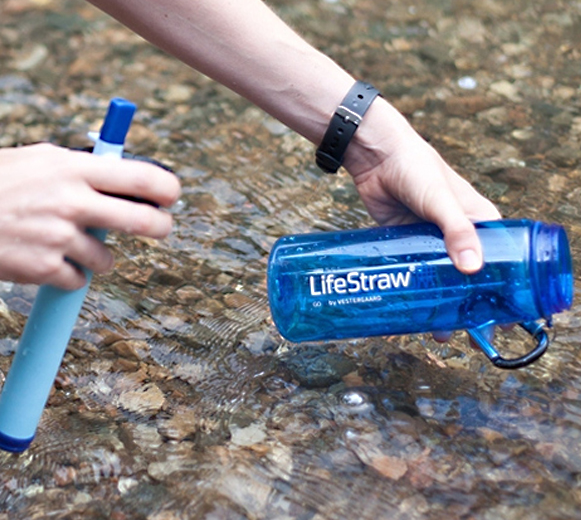 I like what the people over at LifeStraw are doing. For every bottle sold, they provide a years worth of (clean) water to an school child in Africa. Each bottle (which you can purchase here) will filter 1,000 liters, and removes 99.9999% of water born bacteria. This is great for backpacking - no need to stop and 'pump' when you cross rivers, just fill and sip!